Based in Cardiff, The Oasis Restaurant offers high quality Mediterranean food to eat in, take away or delivered to your doorstep. 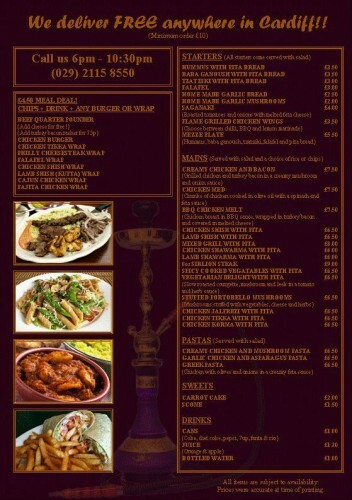 The restaurant features a shisha (hookah) garden in the back and an authentic Mediterranean interior. 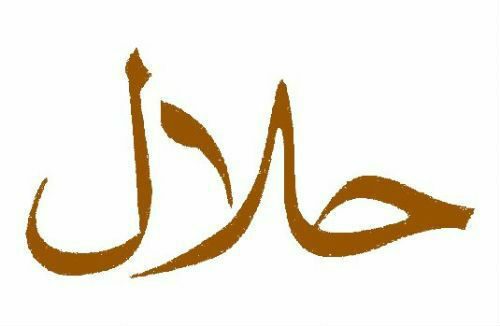 The Oasis delivers a wide range of dishes that are cooked fresh to order and taste delicious. 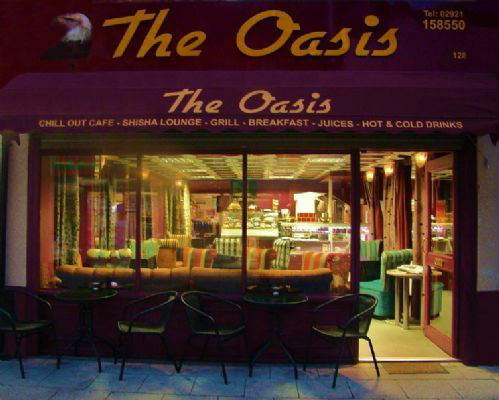 The Oasis offers many meals from kebabs and wraps to curries and pastas, not to mention all day breakfasts and children’s meals. The Oasis team can also tailor your dish to suit your taste or dietary requirements. 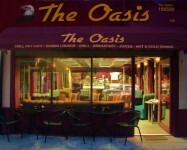 The Oasis Restaurant is affiliated with Just Eat the online fast food delivery service.